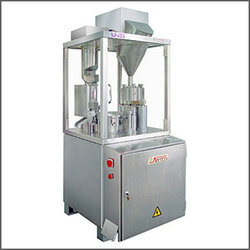 Our clients can avail from us a high performing range of Capsule Filling Machines. 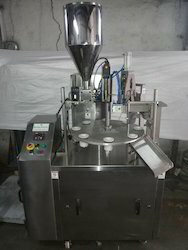 We are engaged in manufacturing of capsule filling machines which is ideal for filling capsules of various sizes. These capsule filling machines is specially and skillfully designed to meet the precision production demands of modern pharmaceutical procedures. 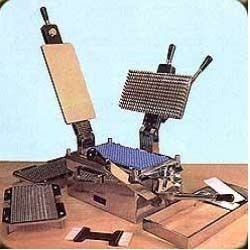 Hand operated 300 hole model. The Stainless Steel body is fabricated out of S.S. 304 qlty. and all contact parts are made out of Stainless Steel 304 qlty. 8000 capsules per hour for capsule size:00 to 2 for 300 hole machine. Loading plates 3 Nos. and section plate (as per customer's requirement) and powder tray supplied with machine. Complete unit as per our standard.